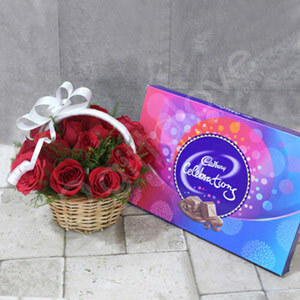 Packaging materials of bouquet can be reused for decoration. Basket can be reused for storing purpose. 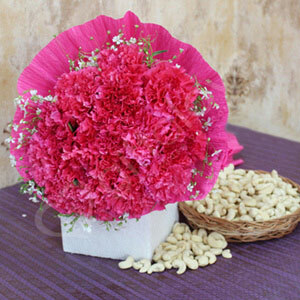 Usage of green filler in bouquet is done as per its seasonal availability. George Washington who was the first President of the country discovered a species of rose namely, Mary Washington, which was named after his mother. Rose is one of the only three flowers mentioned in the Bible. Other flowers are Camphire Henna and Lily. Orchid attaches itself with woody parts of the plant and can also grow under the soil. 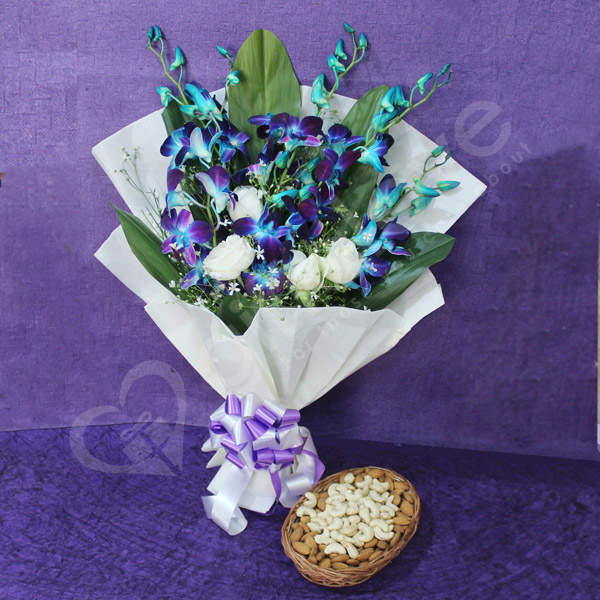 Are you looking for something special to gift to your loved one on a special occasions? If that is the case then you are at the right place. 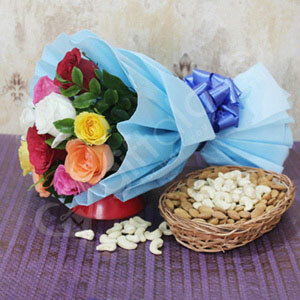 This one is a perfect bouquet of lovely and fragrant flowers and dry fruits that will definitely be liked by the recipient. Place your order right away! !